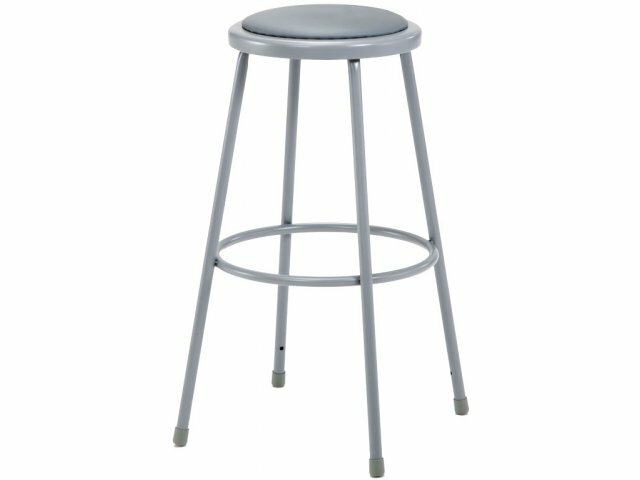 This is a functional and comfortable lab stool. It has a gray frame with a gray vinyl seat. The 20-gauge die-formed steel seat has fully curled edges for strength and safety. Legs are seam-welded for superior strength. Foot rings give you a place to rest your feet while increasing the lab stool's durability. 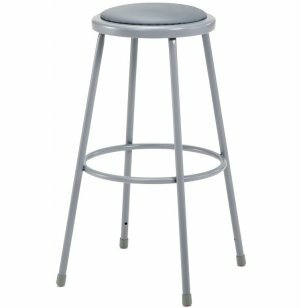 The lab stool seat size is an ample 14 inches in diameter. Gray frame with gray vinyl seat.